Charles and his girl friend responded to my invitation to meet me at the airport one day while I was in aviation training. Our association had begun through our association at work. Always looking for opportunity to serve and experience interesting things, for some reason the subject of flying came up. Needing a qualified pilot, a well-known local trainer was present. I decided to rent the Cessna 172 airplane to "show my stuff". The four of us boarded the plane, taxied to runway 27, scanned the instruments and did the run-up. With my head "on a swivel" (term referring to looking for airport traffic and clearance before take-off) I looked to my right and caught a glimpse of an ugly cloud in the distance in the west. I called the take-off a "no-go" regardless of the disappointment involved regarding the anticipated thrill. Roger, the trainer with whom I had never flown agreed with my decision. So back to the tarmack we went, but not without explanation to the anxious passengers. As I recall, the opportunity to arrange for another chance at taking to the skies never came. 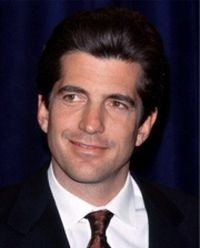 America was saddened on July 16, 1999 as we learned in horror about the crash off the coast of Martha's Vineyard of the young pilot, John F. Kennedy Jr., his wife and sister-in-law. The thrill event was brought to a sudden end. Knowing that he had been warned about the weather conditions and the anticipated wedding the three were to attend, still John had sufficient reason to call it a "no-go"...but how do you explain that to two women at such a time as this? Bravery is better demonstrated in saying "no" at times. John was a newly trained pilot having logged 310 hours, 55 hours at night and 36 hours flying time in the accident Piper Saratoga airplane. Confidence against natural forces should make us cowards. But, not for John! His fate was sealed by one bad irreversible decision. A few years ago while returning home from work I was saddened upon hearing a radio announcement to learn that a local doctor and friend in aviation had crashed in the swamps of south Alabama. My friend was eagerly anticipating joining his family. His passion proved that the "no-go" decision was not his option. And that was it. The rule of thumb is to do a "180" in severe weather. He could have and should have waited out the storm. Vulnerability can be a true virtue but not in such cases as flying in the face of "mother nature".